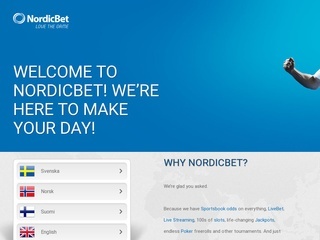 Nordicbet is an international online gambling platform offering the best betting experience for its customers. As the name of the company suggest it operates mainly in Nordic countries such as Denmark, Finland, Norway and Sweden. The site launched in 2002 and quickly became one of the largest betting sites in Europe. The administrative center of the company was Tallinn, Estonia. It first started as sports betting site, but later developed many new games as a casino, poker, bingo and many more. In 2012, the company already had more than 200 employees and over 90 000 customers. Offering a wide range of betting selections it quickly became very popular and caught the eye of one of the largest betting conglomerates the Nordic betting, group. They acquired the brand in 2012 for 65 million euros and kept developing it to what it is today. Nordicbet is part of the Global Gaming Guidance group and has a lot of important licenses. Operator of the website is BML Group which is a company registered in Malta and owns several licenses issued by the Malta gambling authority. 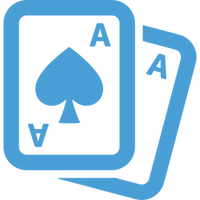 The company is part of the movement preventing gambling addiction, illegal gambling, and minors gaming. Since its creation, it has reached top 50 of the most famous gambling sites in the world. The site has a very clean and easy to understand interface. Once you choose your preferred language, you’ll enter the main page where everything is organized neatly. All the important menus for a betting enthusiast are located at the top of the site. Available gambling options are Sportsbook, Livebet, Live casino, Casino, and Poker. The bookies offers great jackpots and live changing experience with the small and casino games in the portfolio. There are fantastic tournaments which anyone can be part of. Other options are the blackjack, video poker and roulette where anyone can take the big wins which are often millions. The Sportsbook section is very deep offering an enormous amount of sports. Livescore is offered for every player that likes to keep track on ongoing or finished events. 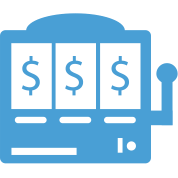 Live betting is supported for most major sporting events. A very cool feature that every self-respected betting site has been the Live stream option. It’s available for major sporting events but mainly for Football matches. But don’t worry it’s not only for Football. There is many more sports cover with Basketball, NFL, Tennis and Volleyball being the most famous. Nordic sports as Ice hockey, Trotting and Bandy are available. 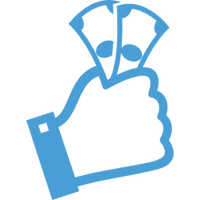 Nice options are the markets for Films, Music, TV events, Politics and E-sports that relatively new for bookmakers sites. The mobile platform is really good and the site is optimized for most modern tablets and smartphones. All in all, the site offers a very pleasurable gaming experience for the customers. As part of one of the largest Nordic betting groups, Nordicbet offers a very deeps selection of odds. There are over 10 000 bets available for Football at any given day of the week. You can bet on a Match Winner, Handicap, Goals or Halftime. There are also Special bets available for every major Football match. For Basketball, you have the usual Match Winner, Handicap, and Over/under. One of the biggest selections of odds awaits you in the Ice Hockey and Trotting menus. Every fan of these sports will not find a site with more markets for this type of events. The Odd format is of course European. 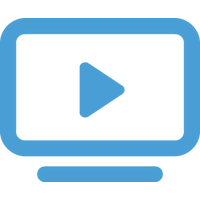 Supported languages for the site are English, Danish, Norwegian, Finnish, Czech, and Dutch. The site offers a secure SSL encryption that protects user data. If you can’t find something you need or you have a specific question about betting you can always visit the “Help” section. There you will find all the frequently asked questions and if by chance there isn’t an answer you can contact their employees easily. Customer support for the company is flawless. You can reach the company’s employees easily through Live Chat, email or phone. They have a typical response time for each one of them with Live chat taking about 30 seconds to respond, phone 0-2 minutes for a response and email 30-60 minutes for a response. These are some impressive response times for a bookmaker’s customer support unit, even for the largest names in the industry. To rank amongst the best betting sites in the business Nordicbet has made a lot of depositing methods available for their customers. Starting with the well-known Bank transfer you can also deposit through your Visa or Mastercard. For additional information on all the payment methods you can see the table. Withdrawal methods depend on the method you used to deposit the money. But they’re pretty much the same. Minimum deposit amount is €5 to €10 depending on your deposit method. Withdrawal times take from 24 hours to 3 days again, depending on your withdrawal method. The minimum bet for the site is €0,13, and maximum winnings are €22500 per bet. The currencies the bookies works with can also be seen in the table. Making a name in the betting industry is difficult, and that is why No direct has made some sweet offers for their new and already registered customers. You can have a 100% bonus for up to €50 depending on which country you live in. The welcome bonus for the Casino is also the same. There is a ton of other promotions in their “Promotions” section where you can check all current offers.